The American Academy of Pediatrics recommends that if you can answer “yes” to any of the following questions a blood test to check for lead should be considered. Does your child live in or regularly visit a house that was built before 1950? This includes a home child care center or the home of a relative. 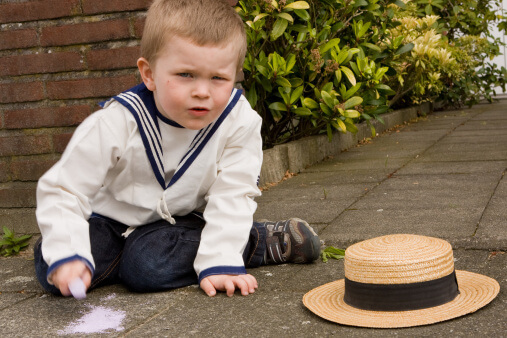 Does your child live in or regularly visit a house built before 1978 that has been remodeled in the last 6 months? Are there any plans to remodel? Does your child have a brother, sister, housemate, or playmate who is being treated for lead poisoning? Additionally, if you can answer “yes” to any of the following questions, your child may need to be screened for lead. Have you ever been told that your child has high levels of lead in his or her blood or lead poisoning? Does your child live with an adult whose job or hobby involves exposure to lead? Does your child live near an active smelter, battery recycling plant, or other industry likely to release it into the environment? Does your child live within one block of a major highway or busy street? Do you use hot tap water for cooking or drinking? Has your child ever been given home remedies (such as azarcon, greta, pay looah, surma, litargirio)? Has your child ever lived outside the United States? Does your family use pottery or ceramics for cooking, eating, or drinking? Have you seen your child eat paint chips? Have you seen your child eat soil or dirt? Have you been told your child has low iron? The Centers for Disease Control and Prevention also recommends universal screening (testing all children) in areas defined by zip codes where at least 27 percent of the housing was built before 1950 and in which the percentage of 1- and 2-year-olds with elevated blood lead levels is at least 12 percent. Other local factors may affect the screening rates in certain areas. Recent studies have found that older furniture and toys found in antique shops and secondhand stores may have lead-containing paint (Journal of Environmental Health, 70(10):80, 86, 2008). If your home contains these items, your child may benefit from screening. Talk to your pediatrician about lead screening for your child.